I’m not going to lie, after receiving the April LF box I was slightly apprehensive about opening this month’s box. April showcased a slightly odd selection of products which were rather disappointing. This tends to happen when a box goes from pre-order to subscription based. However I was pleasantly surprised and happy with what I received this month as the selection was mostly of brands which I personally had never heard of or sampled before. Although the samples are pretty small this month and I would have preferred slightly larger sized ones, the value of the box is around £50. This is my favourite product in the box. I have been searching for a new cleansing balm for a while as they seem hard to come by unless you are purchasing from higher end more expensive products such as Elemis. If you can recommend any then please let me know!! I’ve tried Liz Earle, Elemis (which is my all time favourite!) and No7. 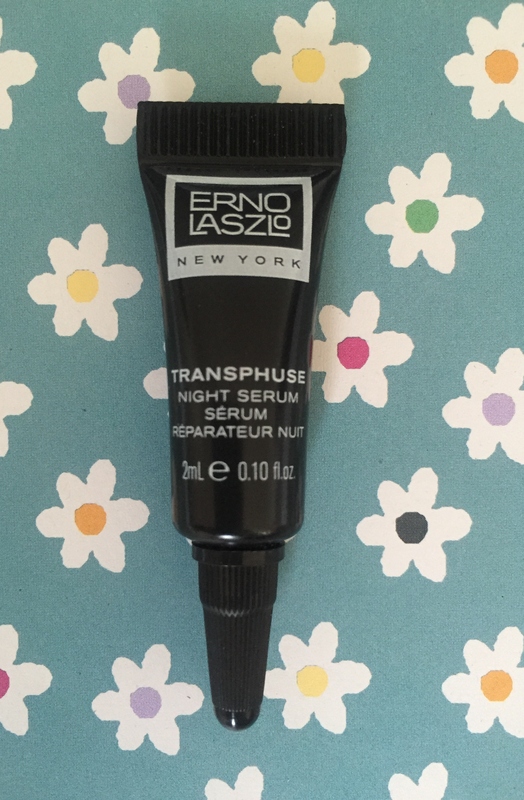 This brand is from Budapest and from the packaging it is clear that this is a high value product. The little glass jar is frosted and looks enticing. 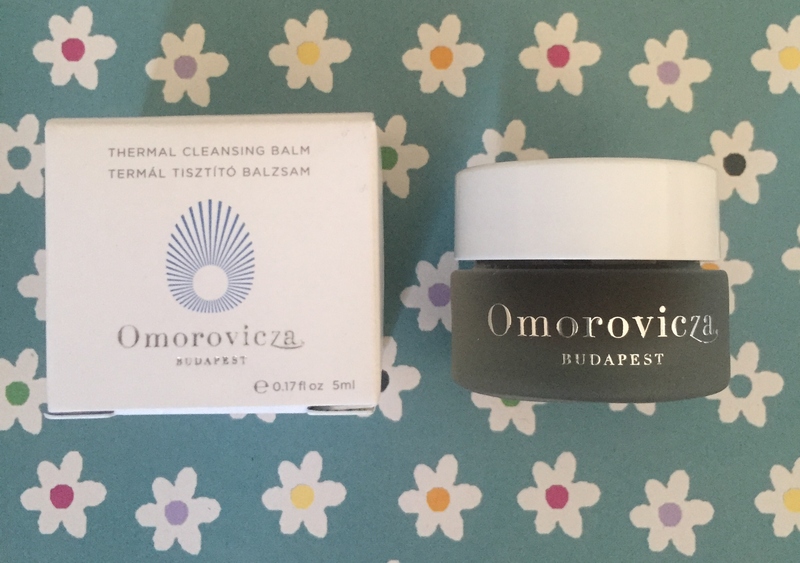 It is a black balm made from Hungarian Moor Mud which is rich in calcium and magnesium. It effectively removes make up and impurities, including waterproof mascara, leaving skin feeling soft and hydrated. It also contains almond oil and orange blossom so it has a pleasant fragrance which isn’t overpowering. When put on dry skin you can feel the warming sensation. I also used this first thing in the morning over wet skin however you don’t get the warming sensation. You can tell that this is a deep cleaning product as this morning my face looked shiny clean afterwards. I’m not a huge wearer of false lashes. 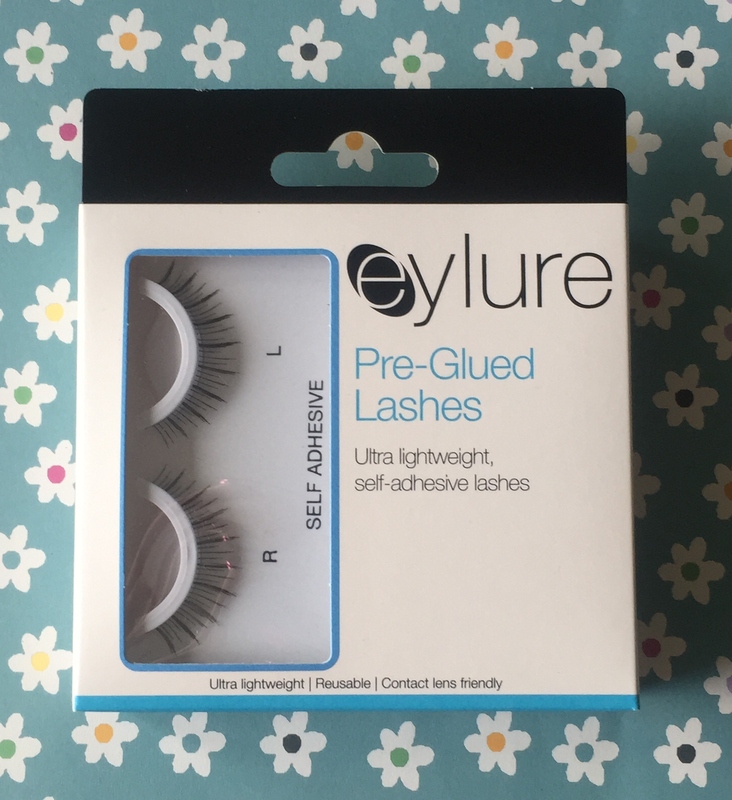 I actually trialled false lashes at Christmas last year for the first time which just so happed to be Eylure lashes. They are great for adding volume and extra length. You can also add mascara on top and reuse them. The pack comes with lash glue which is easy to apply on the lash itself and onto your eyelashes. I would recommend using tweezers to place them on and the glue dries clear quite quickly. The set which I received aren’t heavy to wear and they don’t look like you’re wearing falsies. This is another new brand to me. It is a hair mask that is enriched with prickly pear seed oil, a precious natural remedy with antioxidant and regenerative virtues. Its action is reinforced with a 100% natural repairing agent that restructures and strengthens hair from the inside, smoothing it and enhancing its natural shine. 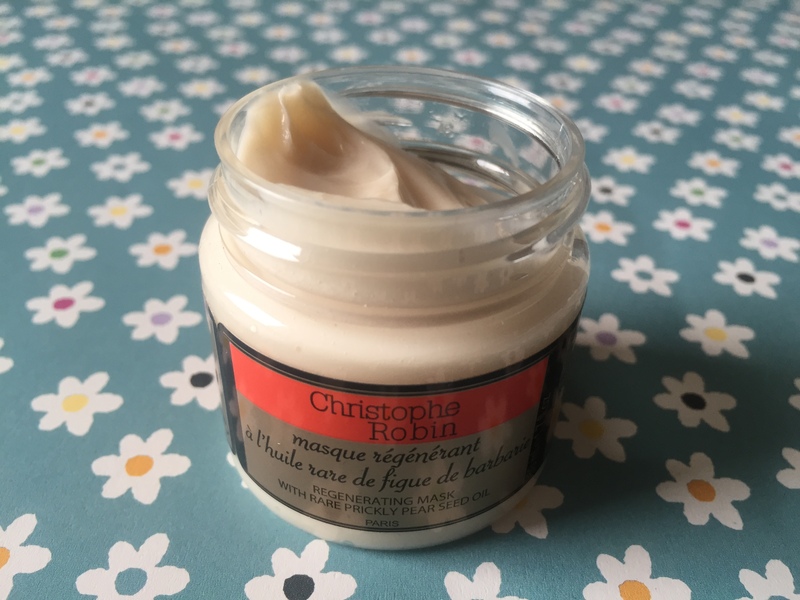 It also contains Inula flower extract to reinvigorate and protect the pigments of natural or dyed hair. It is suitable for all hair types. You only need to leave it on for 2 minutes to notice a difference. My hair looked fresh, smoothed and soft. I think with continual usage you’ll start to notice a difference with the overall condition. It is free from silicone and parabens. I love the fragrance as it reminds me of suntan lotion and vacations. It’s a floral/fruity fragrance which is not over powering and simply delicious. Again this is another new discovery brand to me. I’m not going to lie, the sample is tiny!! It’s only 2ml however if full size is £215 maybe this isn’t surprising. It is a clear serum which is easy to soak into the skin. It is non greasy and non sticky. It leaves your skin feeling very silky soft and looking more radiant. It seems to work instantly evening skin tone. This would be the definition of “wonder blur”. The serum is supposed to plump fine lines, prevent wrinkles and maintain a fresh faced glow. From only a couple of uses I can see a noticeable difference. I also rubbed it into the top of my hand to check for visible results and I can honestly say that the hand I applied it to looks airbrushed compared to my other hand. I love this product!! Now I just have to hope and wait that one day it’s on offer to reduce that hefty price tag! 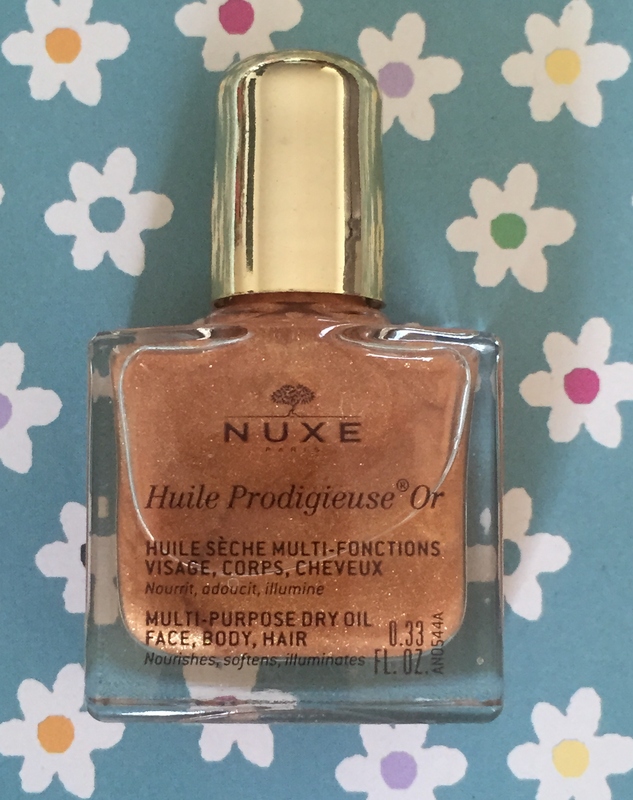 On first glance I actually thought that this was a nail polish so I was pleasantly surprised to discover that it was infact a multi purpose face, body and hair oil. It is formulated with precious plant oils and vitamin E, which will deeply nourish and condition skin whilst providing a very subtle glow. It looks as though it will be incredibly sparkly on the skin however you can barely see the shimmery particles once applied. You can add it to your bath for a truly indulgent soak. It’s non greasy and easily absorbed. I haven’t tried it in my hair so I can’t comment on that. I think I will probably keep this for when I have a tan as I think it will enhance the holiday glow. The fragrance is light and not over powering. It’s very pleasant! I do love fake tan however I tend to stick with St Tropez. I was a bit apprehensive applying this as the colour is a very dark brown. It’s similar to Fake Bake in the sense that when applying it, you are left looking like you’ve jumped into a puddle of mud. 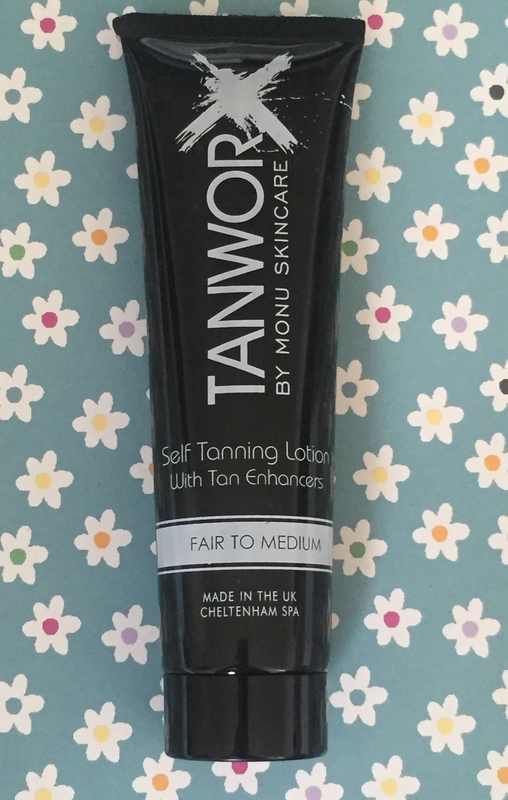 However if you apply with a tanning mit, you will wake up the following morning with a nice non streaky subtle glow. This one is for fair to medium skin so the results aren’t overly dark or orange looking. It doesn’t have that horrid biscuity smell like most tans do either! The only down side was that it was slightly difficult to rub in so took longer than I normally would have to spend applying it. I think this is probably because it is more like a cream than a mouse. I am very happy with the results and can’t believe that there are no streaks! This one will definitely be repurchased! I’ve given you a before and after so that you can see the results for yourself. All in all, I am loving this months’ box. All products are ones which I would definitely recommend and will be repurchasing myself once they have run out. It’s great when you receive a box and all items are winners! Let me know your thoughts and whether you have sampled any of these. 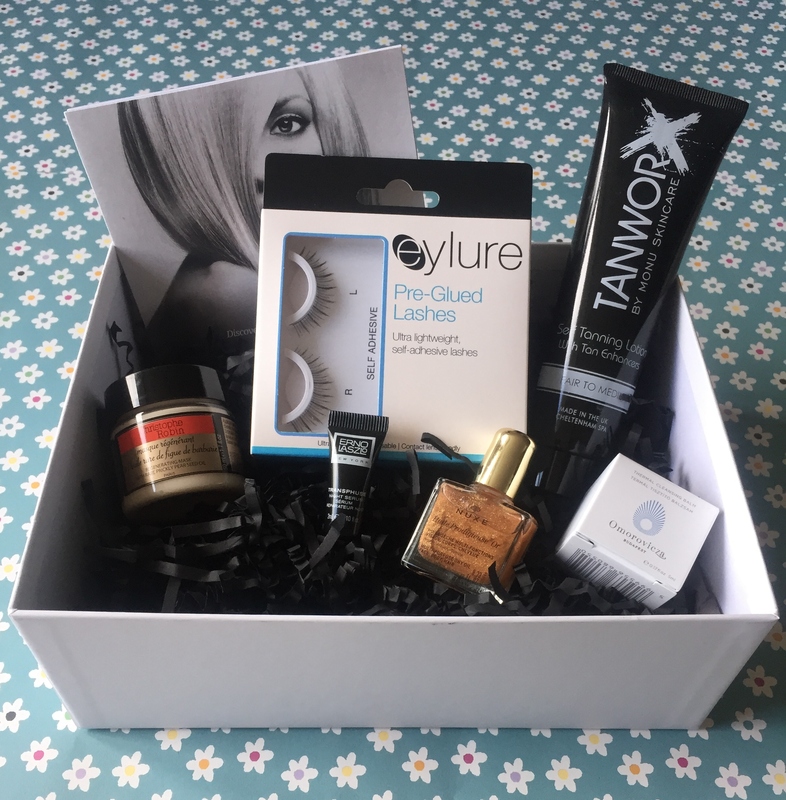 If you received this months’ box, did you receive anything different to mine? And don’t forget, please send me your cleansing balm recommendations!! No, thank YOU for spending your time and giving awesome fashion and makeup advice to us!